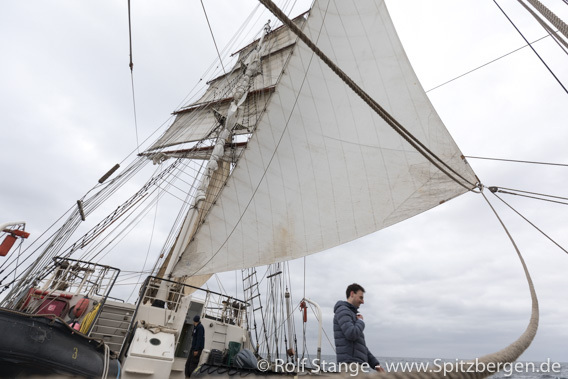 Some hours sailing (without engine!) took us across Vestfjord to Moskenesøya, the southernmost island of the main chain of the Lofoten islands (there are some outliers, Værøy and Røst, far out in the sea). Most people enjoyed the passage, although it was the first day on the ship. Collateral damage related to the motion of the ship was not unheard of, but rather limited. Good to get some training! We will see some more open water later on this trip. 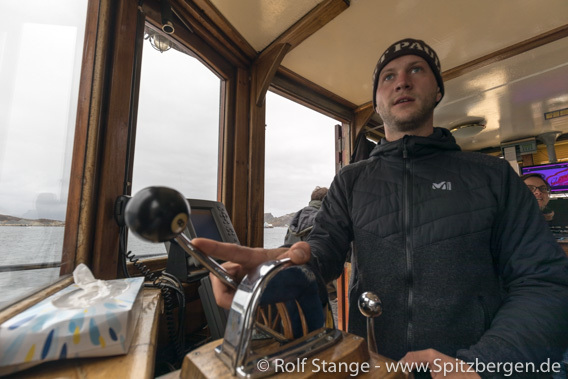 Leaving Bodø: Captain Mario gives steam. Sailing across Vestfjord to the Lofoten islands. 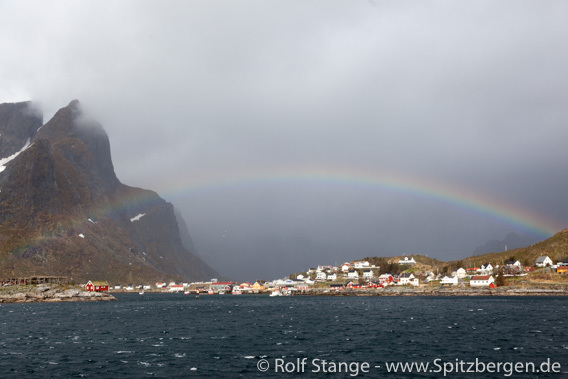 But for the moment we are in Reine, one of the southernmost fishing villages in Lofoten. Admittedly, the weather could have been better. But we are on Lofoten. And it is actually really beautiful as soon as some sun is breaking through the clouds! This year’s catch of cod is still hanging on the drying racks, soon it will be taken down for export. 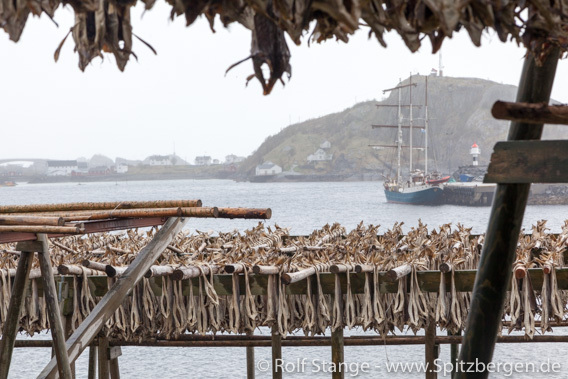 Drying racks with cod in Reine, Lofoten. 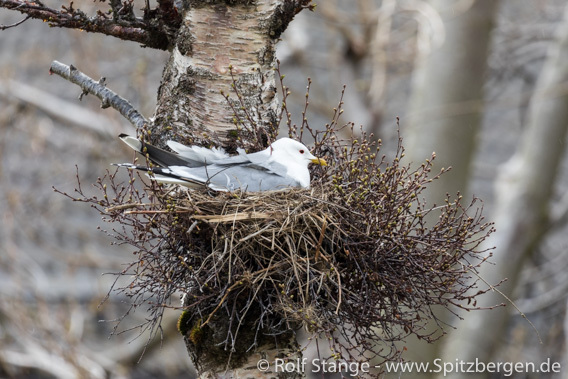 Kittiwake on a nest on a tree! Quite unusual for these cliff-breeders. There is always something to discover in these Lofoten fishing villages. Even in grey and wet weather, there are the colours of the wooden houses and the flowers. But it was indeed a good thing that the Café opened at 11 a.m., and almost everybody found the way there soon. No surprise! 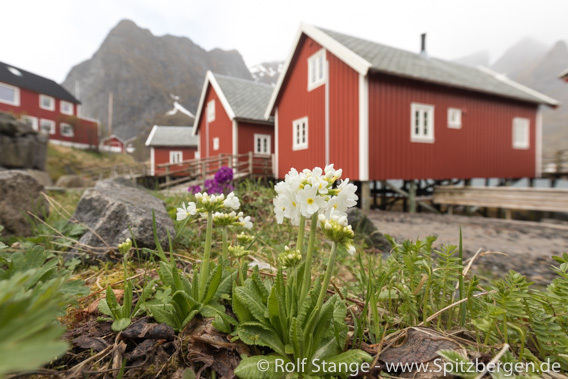 Colours of flowers and houses in Reine. Now we are heading for Nusfjord and curious what the afternoon will bring there.